Wanna know why the "Do It Yourself" pool fences are typically not the best idea? First, such fences typically use rotary hammers to install them, a very aggressive hammering and drilling process. For our fencing, we use a wet drilling diamond core drill and hollow diamond core drill bits which drill clean, precise holes in your patio. So is it just the drill? No, far from it. 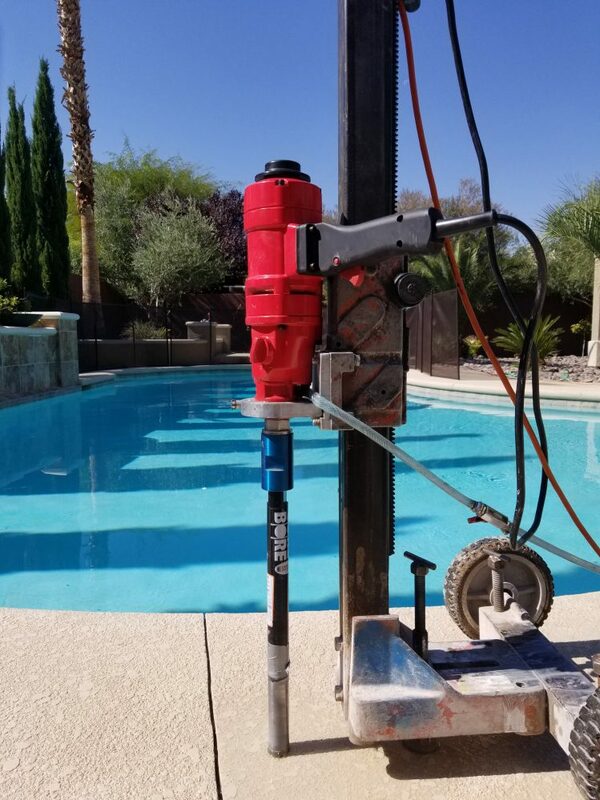 Our drilling system has a leveling system built in to allow proper angle drilling of each hole which produces the elegant, taut, straight fences you may notice in our photo gallery. Fences of superior beauty are just one of the hallmarks of Protect-A-Child Pool Fence workmanship. Every Protect A Child Pool Fence installer has undergone extensive training in proper installation. 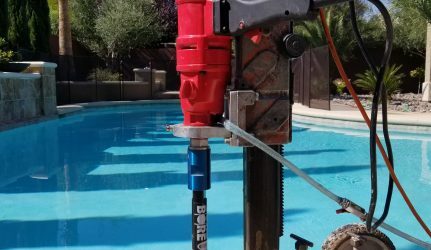 For the best pool fence installation it is recommended to use a professional who has proper drills and experience to make your fence look its best. After all, the pool fence itself will frame your entire swimming pool - and in some ways define the look and personality of your pool, patio and backyard. You want it to look it's best. You can certainly install your own pool fence but when it comes to wanting appearance, safety, and longevity, it's best to have a professional take care of the installation and use a quality pool fence. We can help you with that! As a Las Vegas native, military veteran and lifelong entrepreneur (started my first business at 16!) 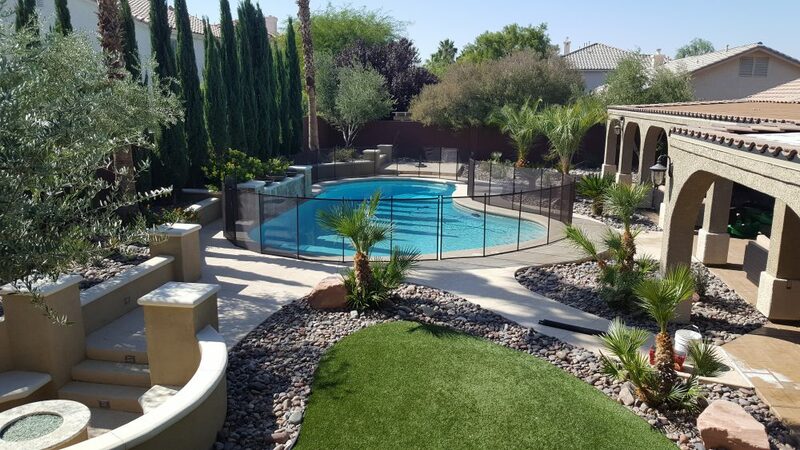 I am proud to be offering Las Vegas residents a quality removable mesh pool fence option. 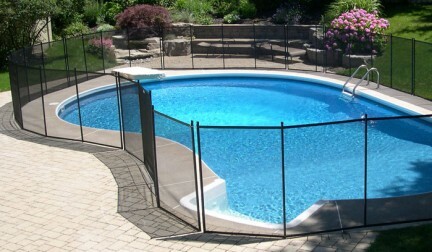 Namely the Protect-A-Child brand of removable mesh pool fencing. As a father of 3 boys, (the youngest only 4 years old and just now learning to swim), I know that Las Vegas pool owners deserve a mesh fence that is stronger and safer than common place aluminum post mesh fences. Protect-A-Child’s unbreakable, unbendable, composite fiberglass support posts and overall “US made quality” with a lifetime “United States manufacturer” warranty meet the quality standard. “I need a pool fence installed tomorrow“. We did some research and found the best pool fence available was Protect-A-Child. As soon as I could I became a distributor for this quality fence. I jumped at it because if this opportunity can save lives and put parents at ease…. I’m in!!! I’m hoping that no one will ever go through the tragic event I witnessed – much less a real drowning. When you contact me you can expect me to answer the phone personally, show up on time, and personally perform your installation. This ensures excellent customer service and a high quality install every time. I have found that being hands on with every customer makes communication much easier and the whole process quick, simple and enjoyable. 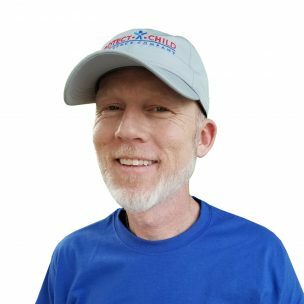 I look forward to hearing from you and helping to make your backyard and pool area BABY SAFE! “After searching online for the best pool fence I found protect a child had the strongest poles and the most experience. I kind of knew who I was going with before they even came to show me their product but I wanted to give them all a chance. I called 4 companies that do pool fencing and only 2 actually showed up!! Turned out the owner showed up from protect a child and he is the one that does the work as well. I love that. Great customer service and I love my pool fence!! My gate needed adjusted 3 weeks after installation, he showed up the day after I called even though it’s something I totally could have done. Been 6 months now and all is well.